It was supposed to be a simple assignmentâ€”look into a caravan destined for the White River. But when Marcus, the leader of the Kralâ€™s security forces, dug deeper, he knew something was amiss. Not only was it the teamstersâ€™ third trip east of the Wall, a no-manâ€™s land haunted by the dead, but their cargo was one of the least profitableâ€”soap. Time grows short as the people of Pazardâ€™zhik begin dyingâ€”including Marcus. The healers canâ€™t understand why, just that the deaths are somehow tied to the caravan. 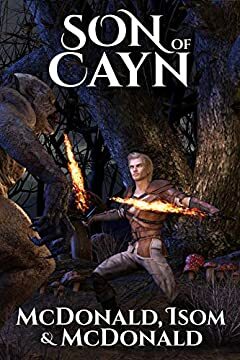 Can the investigators solve the mystery of the caravan in time to save the Kralâ€™s kingdom, or will the Blood of Cayn claim the land?